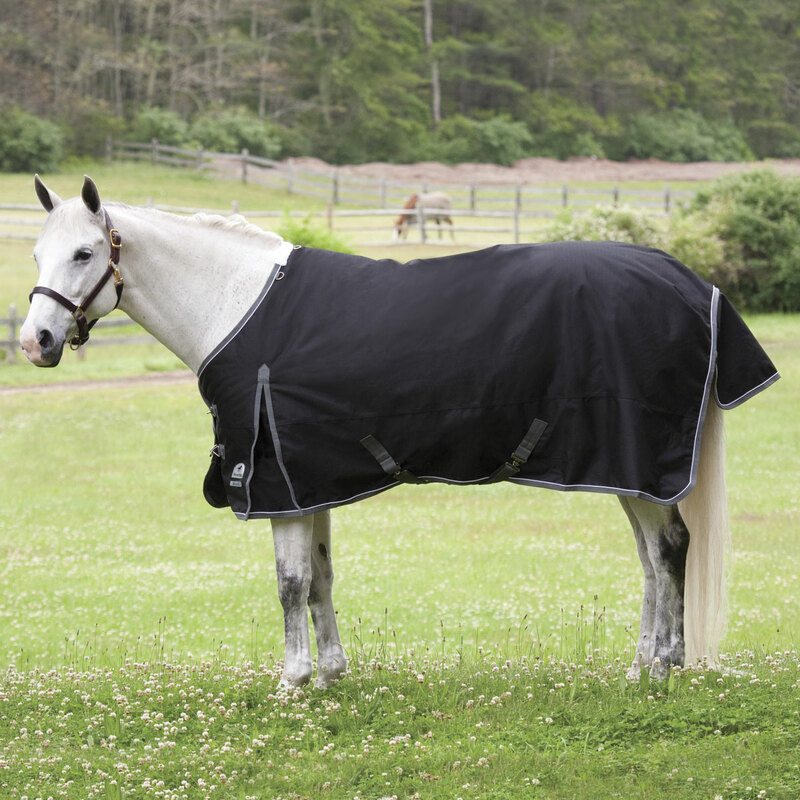 The SmartPak Deluxe Turnout Blanket is a barn favorite. Designed to keep your horse warm and dry in the cold weather with a generous shoulder gusset to allow shoulder movement. 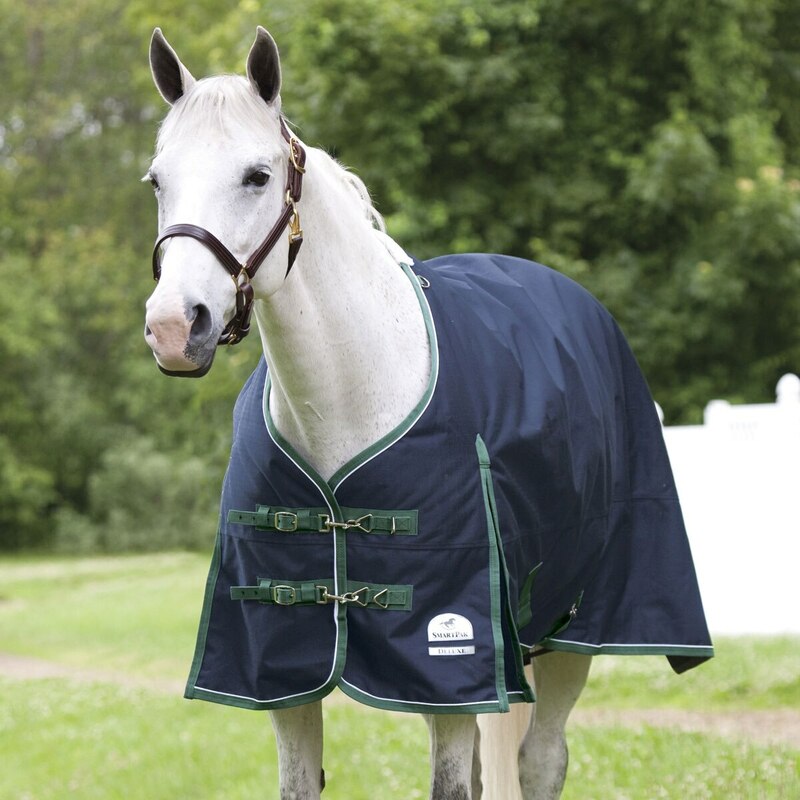 Your horse will love this blanket! 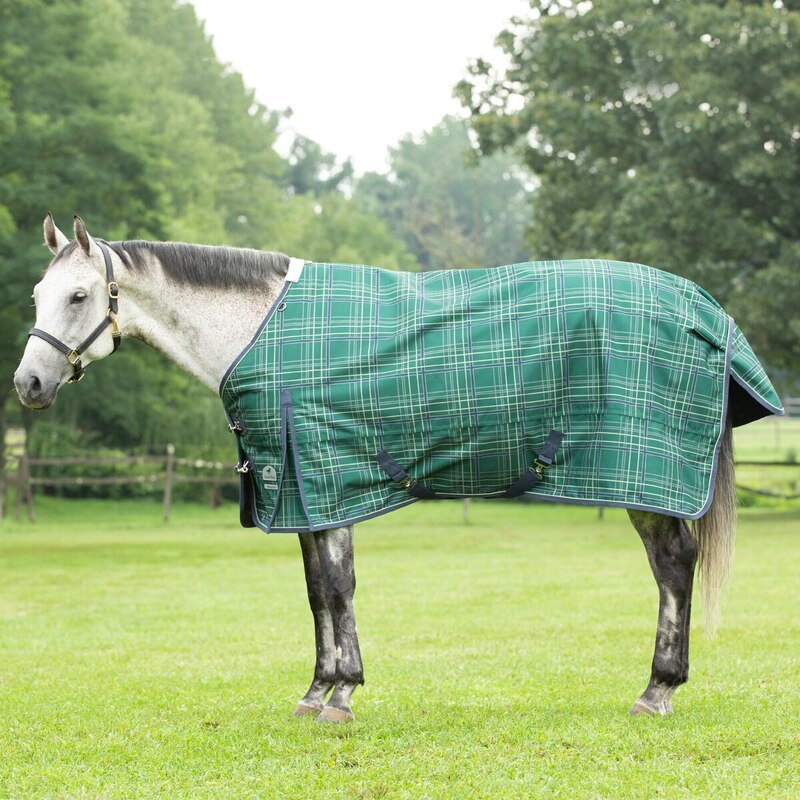 SmartPak Deluxe Turnout Blanket - Clearance! is rated 4.6 out of 5 by 40. Rated 4 out of 5 by ANBequine from Got this for $45 on sale, what a bargain. I bought this for my four year old draft x about a month ago. First night out it got a tiny tear but he was in the pasture with a Blanket water so fair enough. He has been by himself for the past few weeks and it seems to be holding up well. It fit his shoulders very nicely. Rated 5 out of 5 by Serendipity from Very well made blanket. I bought this blanket at the end of last season, so this winter is the first I've used it. It fits my horse well and is very sturdy and well-made. Rated 5 out of 5 by LittleLaz from Fit Great! I was happy to find such a nice fitting blanket with 100 gm insulation for cold wet rainy days. I did notice the nylon of the blanket makes a lot of noise on super cold days, my horse was not a fan. 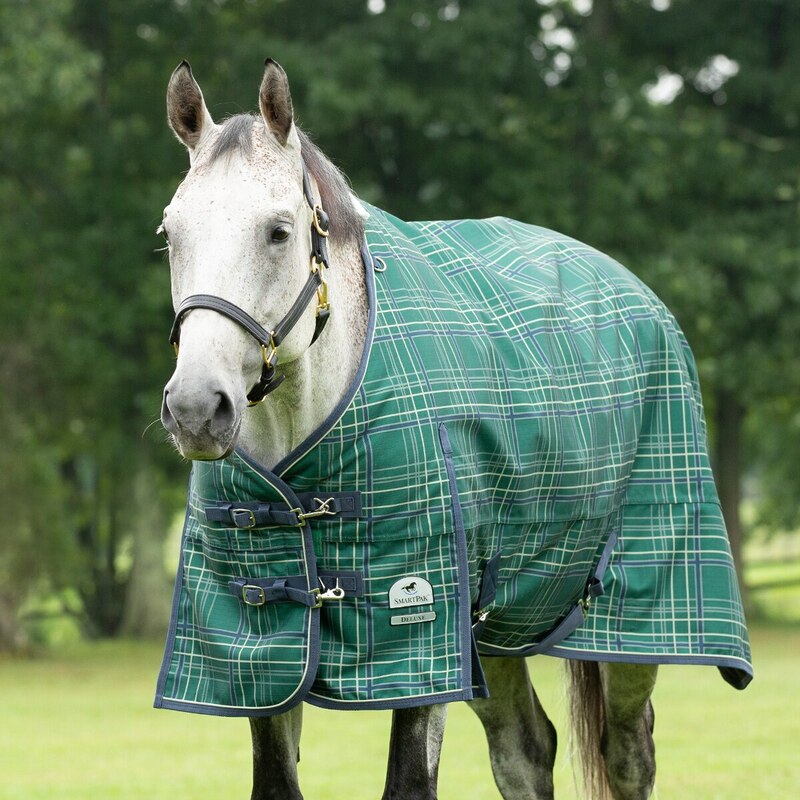 Rated 5 out of 5 by Chrissy from Handsome Turnout I have many of SmartPak's Ultimate turnouts but decided to give a couple of these Deluxe Blankets a try since they were on sale. I put them on a couple of my horses that aren't quite so hard on their blankets and so far they have held up well. Immediately they got hit by hours of rain, sleet, and then snow and the horses stayed dry and comfy. Rated 1 out of 5 by aah5404 from Lasted about 3 days My horse ripped this to shreds in about 3 days. The baker turnout blanket that he had before this lasted 8 years so he is not known to be tough on his blankets. I guess you get what you pay for. Rated 5 out of 5 by KK515 from Good Solid Blanket I love the fit of the blanket and how it looks. It is also very durable. Rated 5 out of 5 by Tksimmons02 from Excellent Price I bought this 3 weeks ago. It fit just as expected. Even better than the fit, the front buckles are SUPER easy to engage (especially with frozen fingers). Love this blanket! 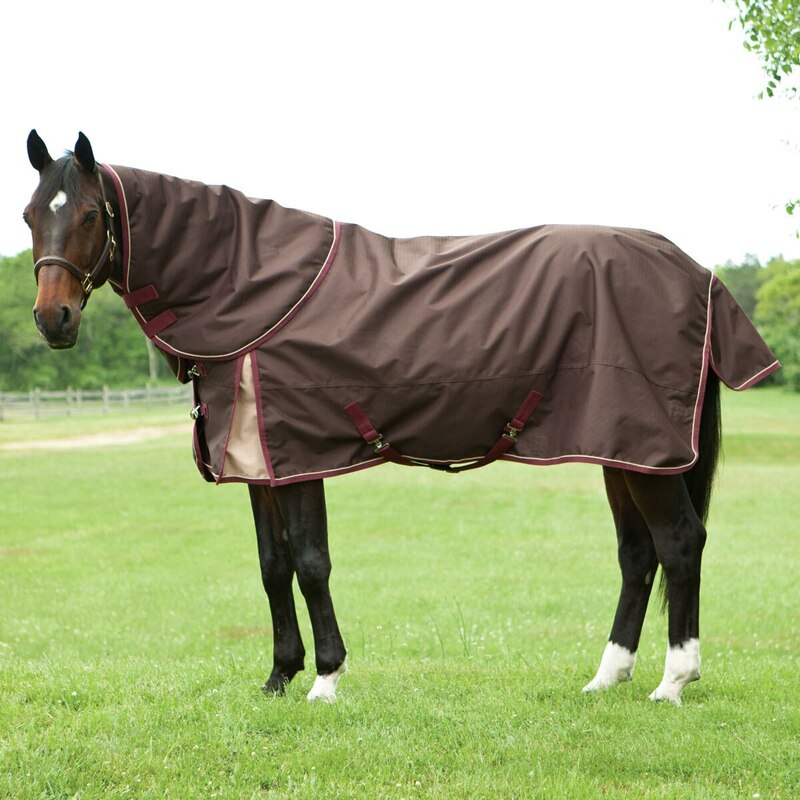 Rated 5 out of 5 by Wpmare from Top quality So happy with the fit and quality of this turnout blanket. So easy to put on and take off. Rated 5 out of 5 by Crittermom from Wicked good turnout! I bought this medium weight turnout to tide my mare over while I got her brand-new-only-been-using-it-a-month-but destroyed-northwind replaced. This blanket was on sale at a great price. Loved the color. It fit great. It was a little gappy at the shoulder right out of the box, but the fabric relaxed a little after a week of wearing and doesn't gap anymore. I sprayed some show sheen on the chest to keep Ms. Destructo from nibbling on the piping edge. So far so good! To be fair, the other brand blanket must have had a manufacturing error as both surcingles came off at the stitching, one right after the other! Hope to have this one in the wardrobe awhile. I would definitely recommend it. Rated 5 out of 5 by PJMorgan from Great fit and quality All three of my horses have this blanket. The older blankets are still in great shape.